Located at the confluence of the Chao Phraya and Pa Sak Rivers, the ancient city of Ayuttaya is approximately 50 miles (80 km) north of Bangkok and is often visited as a day trip. Ayuttaya was the second royal capital of the Kingdom of (Siam) Thailand and existed as such from 1351 until 1767 when it was invaded and sacked (for the second time) by the Burmese. During this port city’s peak, it was an important international center on the trade route between India and China. In 1767 Siam’s capital was moved to what is now Bangkok, the former kingdom was essentially abandoned. The remaining 700 acres (289 ha) of ruins now exist as the Ayuttaya Historical Park, a UNESCO world heritage site. The park contains a number of Buddhist monasteries, prang and statues spread out between beautiful tree covered green spaces and canals. 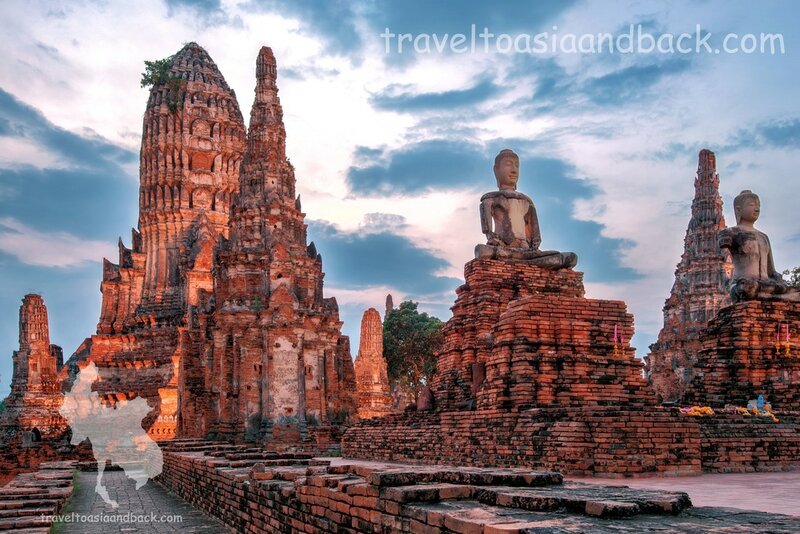 The most iconic, most visited and most photographed Buddha images are located at Wat Mahathat, a tour bus favorite. 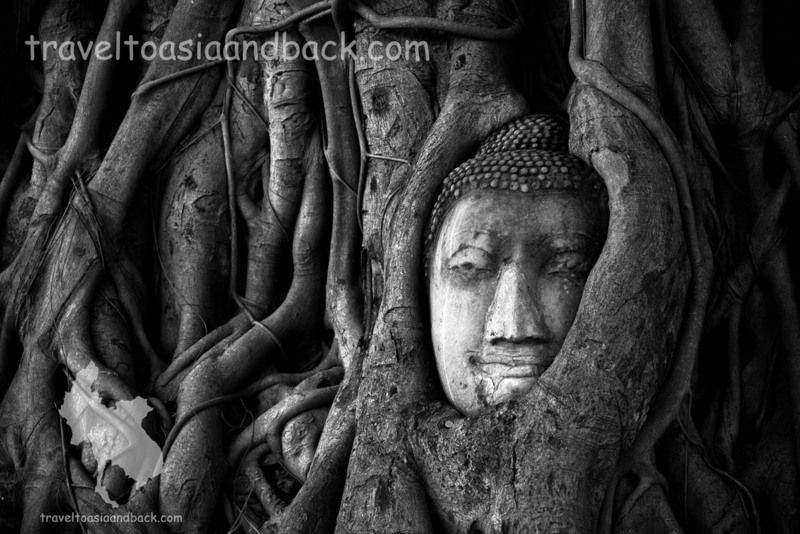 Here you will find the large banyan tree with the head from a statue of Buddha embedded in its roots. 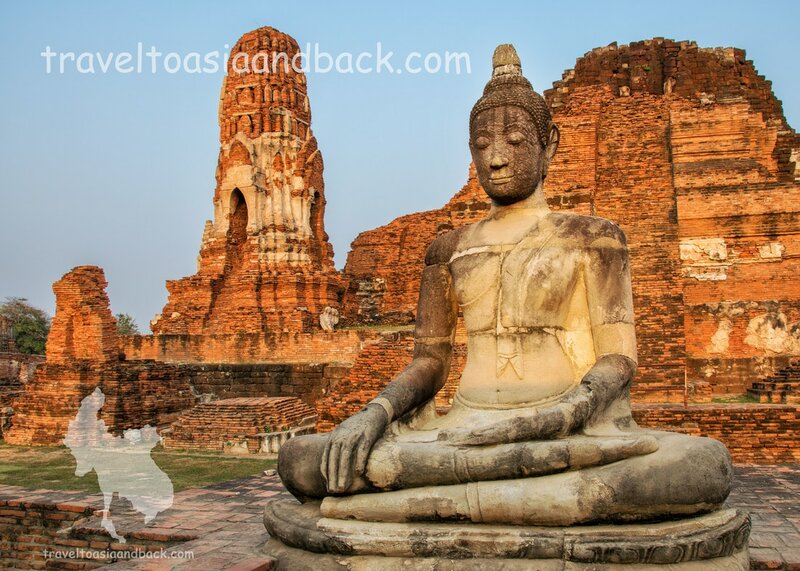 Wat Mahathat and Wat Rajaburana (to the north) were probably the area's most important Buddhist centers. A large collection of artifacts, many made from gold and precious stones, have been excavated from both sites. Many of these antiquities are displayed at the Chao Sam Phraya National Museum. The museum is a great place to view the work of skilled artisans and learn about the monastic life and history of the Kingdom. Across the street from the National Museum is the Ayuttaya Historical Study Center. This museum’s displays focus more on the city's secular history and affairs. Visiting both of these museums will provide a tremendous amount of information on the ancient capital while providing an escape from the mid day tropical heat. 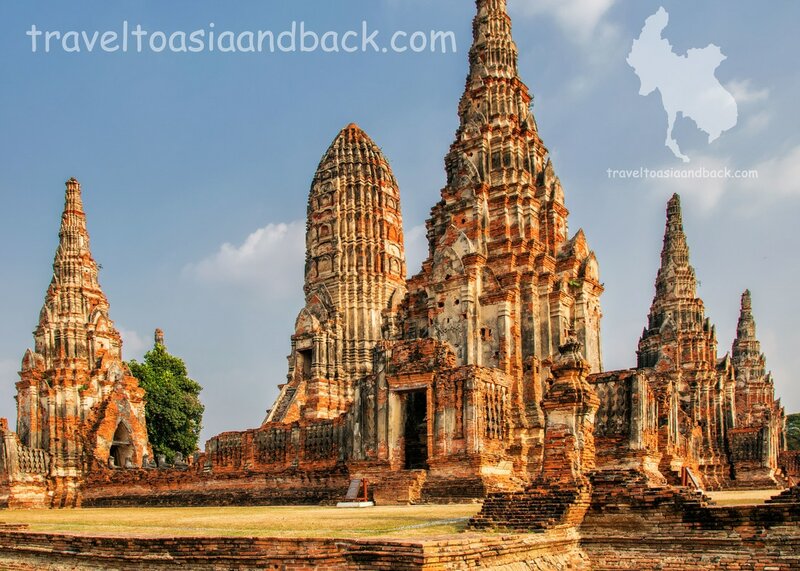 To learn even more about Ayutthaya’s success as an international port city visit the ruins of the former Portuguese and Dutch trading settlements. These sites are located outside of the ancient city along the Banks of the Chao Phraya River. The museum at the former headquarters of the Dutch East India Company, Baan Hollanda, is particularly impressive and should not be missed. The museum presents a good overview of the history of this institution which was once known by the acronym VOC. Operated by masters of navigation, seamanship and trade, it was basically the world’s first publicly traded corporation. Ayuttaya is a popular stop on a well worn traveler’s path between Bangkok and and Chiang Mai in the north and can be reached very inexpensively by either bus or train. From Bangkok mini-buses (vans) depart every 30 minutes from the northern bus terminal known as Mo Chit; the trip takes an hour and a half to two hours and costs 56 Thai Baht. Numerous trains depart daily for Ayuttaya from Bangkok’s Hua Lamphong railway station. Travel time and fare varies depending on which train number and seat class is chosen. There are ten “ordinary” third class trains departing the station each day, a ticket costs a mere 15 Thai Baht (42 cents). The travel time is approximately an hour and a half. From Kanchanaburi many people choose to take a tourist mini bus (van) to Ayuttaya and then connect with the over night train to Chiang Mai. The mini van is a good choice; the 01:30 PM departure time coincides with departure of the north bound train and provides door to door service. Trip time is around an hour and a half and the cost is 400 baht. Trains depart Ayuttaya six times a day for the popular northern city of Chiang Mai which is the end of the line. The trip takes roughly 12 hours and as always, the fare varies depending on which train and class is chosen. It is advisable to consult the check timetable and fares page from the State Railway of Thailand website before arriving at the station. Many travelers choose to break up the long journey to Chiang Mai with an overnight stop in Lopburi or Phitsanulok. From Phitsanulok travelers can reach Sukhothai by bus; the 36 mile (58 km) trip takes approximately one hour. Trains also run to northeastern Thailand via the Nong Khai and Ubon Ratchanthani lines. The Ubon line connects to the town of Pak Chong for travelers wishing to visit Khao Yai National park.